10 Fun Ways Boomers Celebrate St. Patrick’s Day! Here are 10 fun ways boomers celebrate St. Patrick’s Day on March 17th. Why? Because everyone knows you don’t have to be Irish to have fun on St. Patrick’s Day (though it helps). On March 17th, everyone with a spirit of play are honorary Irish folk whatever your family name. #1 – Form Your Own St. Patrick’s Day Parade. Round up your usual neighborhood suspects, pick up a flute, a fiddle and some pipes, and off you go! #2 – Play a Few Irish Tunes. Plug into Pandora or iTunes to listen to soothing Irish lullabies and happy melodies. #3 – Stage a Reading of Your Favorite Irish Authors and Poets. 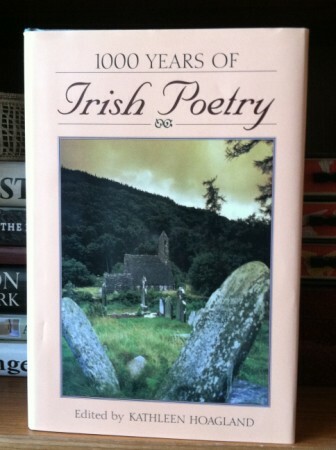 Invite your Irish-loving friends over to share their favorite poems or writings from the Land of Leprechauns. Revel in the lyrical beauty of such Irish poets as William Butler Yeats, Seamus Heaney and the writings of James Joyce. #4 – Prepare Your Favorite Irish Dishes. You can’t go wrong with corned beef & cabbage, shepherd’s pie, Irish stew, colcannon (cabbage and mashed potatoes) and soda bread. And let’s not forget dessert. My new favorite? Chocolate Stout Cupcakes. They had me at chocolate and Guinness. #5 – Raise the Irish Flag. 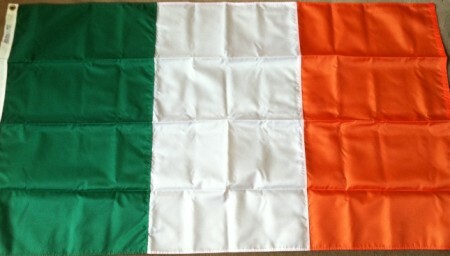 In honor of the St. Patrick’s Day festivities, hoist the tri-colored Irish flag. The flag symbolizes the hope for peace (white) between the native people of Ireland in the South, most of whom are Roman Catholic (green) and the British supporters of William of Orange in the North, most of whom are Protestant (orange). #6 – Stop By Your Favorite Pub for a Pint or Two. Order a Guinness, a Black & Tan or a shot of Irish whiskey before settling in to listen to a few yarns from the locals. #7 – Take a Heritage Tour to Ireland. A visit to Ireland is still on my bucket list. And one of these St. Patrick’s Days, I’m going to hop on a plane to visit the home of my great-grandmother who immigrated to the United States. #8 – Look for Leprechauns. Leprechauns are out and about if you just know where to look for them. 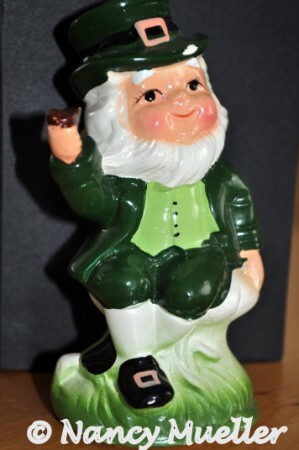 Typically found in Ireland, of course, I have it on the best authority (my own) that these wee creatures make special appearances all over the world on St. Patrick’s Day. Just follow the leprechaun’s footprints to his pot of gold at the end of the rainbow. For inspiration, look no further than River Dance. Before you know, you’ll be on your feet trying to do the same. Good luck with that! #10 – Whatever Else You Do, Wear Green! And whatever you do, avoid wearing orange unless you want a mild pinch. St. Patrick is a Catholic saint, so wearin’ of the green symbolizes your support of his special day. What’s your favorite St. Patrick’s Day tradition, wanderboomers? Please share with us here.